Increment : Defines the space between the record lines of the SubSelect field. Connection : Displays a list of connections created in the current project. Table : Displays the tables related to the database connection selected previously. 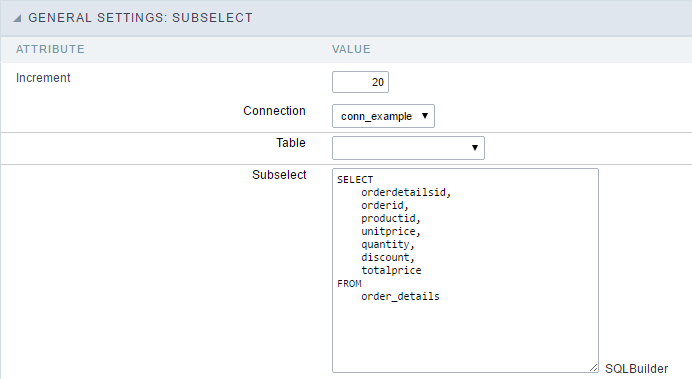 SubSelect : Displays the SQL of the chosen table in the previous option. Allowed to be modified and use field variables and global variables. SQLBuilder : Opens the ScriptCase SQLBuilder, to build the SQL commands.